But Agile does have its own vocabulary: scrum, sprints, story points, spike. And the methodology seems easy enough: dividing work up into small tasks and phases, leaving room for reassessment and adaptation throughout the process until completion. So how does one actually integrate this practice into their business's DNA? 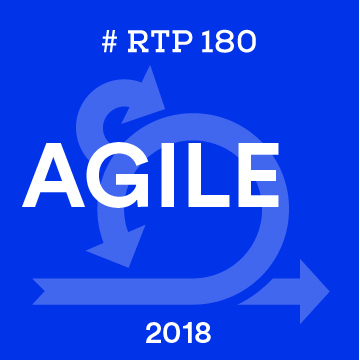 At August's RTP180, you'll hear from Triangle experts who are using the principles of Agile in their day-to-day processes. They'll show that there is more to Agile than just software development—think healthcare, working environments, marketing, and beyond!